From the era when cars had actual, real, cool names instead of made up names (Camry, Escalade, Altima?!) or worse yet, a random letter and number jumble (X5, CT6-V, K900?! 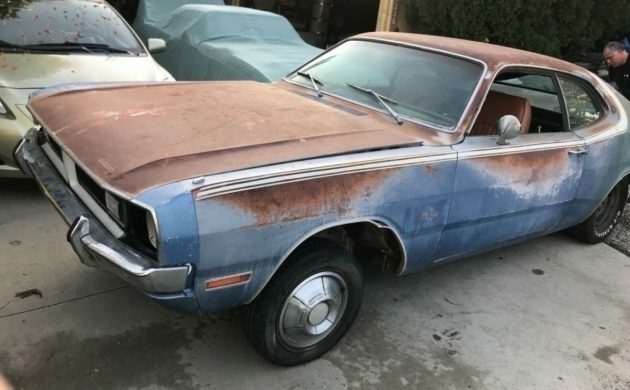 ), comes this 1971 Dodge Demon. The Dodge Demon was a car name that took some heat back in the day itself, no pun intended. 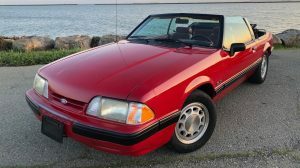 This project car can be found here on eBay with a current big price of just over $2,000 but the reserve isn’t met. It’s located in Reseda, California. I grew up really in this era so seeing a Dodge Demon is great, even a project car like this one obviously is. The name Demon seems like sort of a poseur name for a car with wheel covers and a 318 engine, but it almost became the Dodge Beaver so Demon was a little easier for focus groups to wrap their heads around than what it could have been. The Demon name, as you can imagine, did not go over well, either. Religious groups objected to the name and it only lasted for two years. I’m not sure how many religious groups were buying Dodge Darts at that time but apparently, they had a lot of pull, at least as much as they do today. 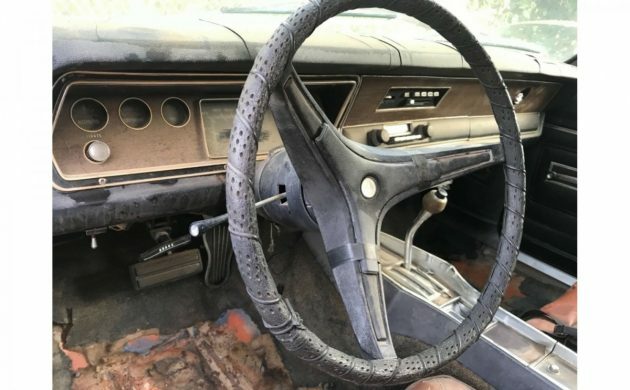 The cracked dash should be repairable or replaceable, and we all know that carpets and seat covers or fabrics are most likely available or able to be matched pretty well. The thing I’m worried about is the steering wheel cover. No, just kidding of course. This car has a TorqueFlite automatic so there’s no three-pedal shifting here but most of us drive automatics now, hopefully that isn’t a deal-killer for someone looking for a fairly rare Demon. And, the bare foot gas pedal is included, of course. 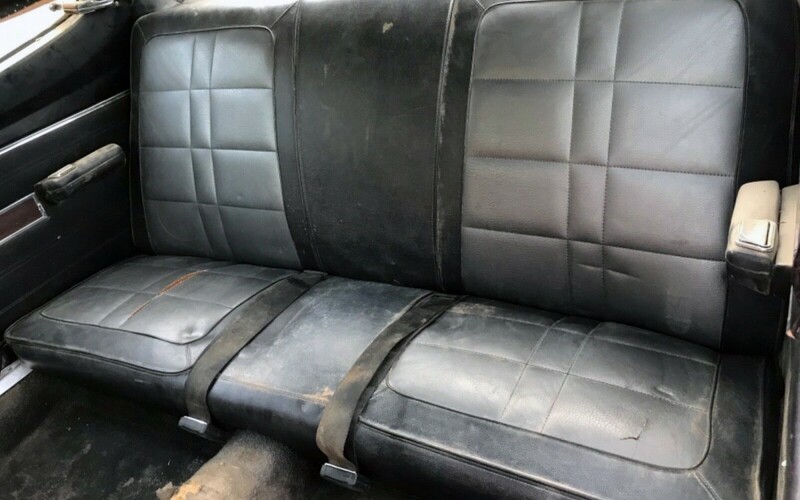 The back seat looks great other than a split or two, again any of that stuff can be fixed as you all know. It looks worse inside than it probably really is. 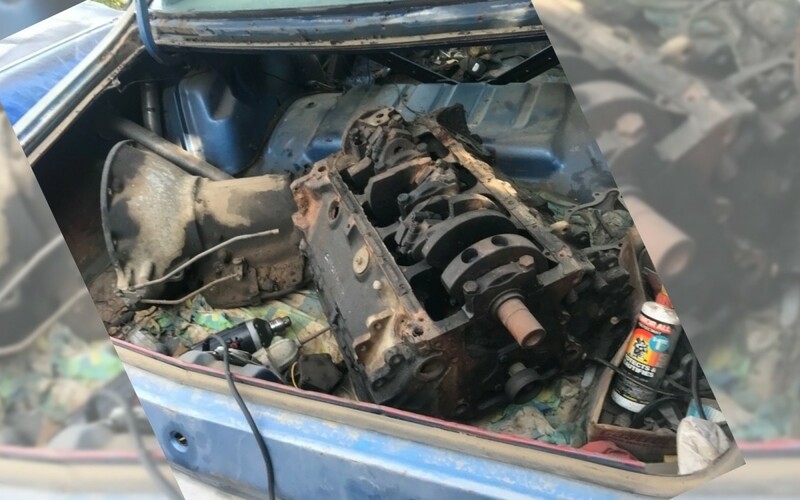 The engine.. (insert screeching sound here).. Actually, this is probably good news in that it’ll be easier to restore the engine bay and engine with it being out of the car. Here it is, in the trunk. They also show a trunk photo so you can see the nice shape that it’s in. 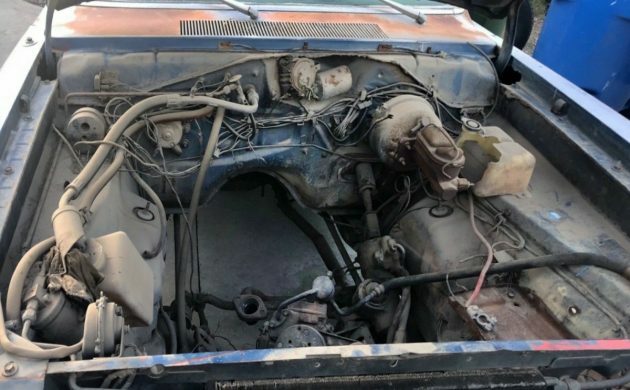 This is a 318 cubic-inch V8 with 230 gross horsepower and a lot of us could probably rebuild it in our sleep. 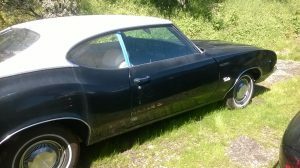 The seller says, “I have the matching numbers engine and trans out of the car, but it’s all there. Bucket seat, remote racing mirror, factory undercoating, console, floor shift, air conditioning car just to name a few options. It is an automatic 318 car. 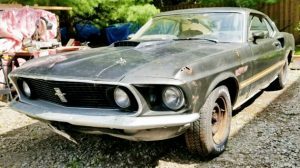 Which means it has the v8 k-member if you decide to switch to a big block it will also work on it.” This looks like a very doable project but, as always, the big question is: would you keep the stock drivetrain or upgrade to a 340 or big block and add a 4-5-speed manual? completely forgot that these existed. compared to today’s hellcat demon this is just so tame, er lame. Hmm I’ve seen worse. Doesn’t appear to be a lot of rot on the car other than the quarter. I’d either build the eng that’s with it or find a 340, and add a 4 speed. Enough difference in appearance to set it apart from the dustpan. Good luck to the new owner! Both mine were 340 cars – a 71 with auto and a 72 4sp I should have kept. Neat nice ones still survive to be built ! Tell that to the elderly woman I met at a retirement community in Gresham, Oregon. I was there to visit my mother-in-law when I noticed a blue 1972 Demon in the parking lot with the hood up and her leaning over the engine. I’d had two Demons (a 340 and a 318 with a transplanted 360 crate engine), so I wandered over to ask her about the car. She was checking her oil. The car had the cleanest 225 slant six I have ever seen. I told her I liked her car and asked her what she thought of it. “It’s great,” she said. “I drive it every day.” Instead of fender decals, it had metal Demon emblems instead. You don’t see those too often. I bought one of these at an impound auction one time. I was disappointed when I opened the hood to see the slant 6 in there. I thought the same thing. A Demon with a 6????? I thought the lady’s car was pretty cool, actually. Slant sixes can be tweaked, if you want more horsepower. Not too bad, I would definatly swap in a 340 and a 4 speed in though. Had a bright yellow demon with a 340 and flat black hood scoop and wing on the trunk back in the day. B&M shifter and a Holley 650 double pumper. A bit too much carb of the line, but over 2000 rpm…. look out! Too much car for an irresponsible 18 year old, but it sure was fun!! Awesome looking car. I remember when this generation Dodge Dart and Plymouth Valiant. I was born in 1973, so I was too young to remember the 1970-72 models. But I’ve known people as I was growing up who had both the Dart and the Valiant. Nice find! Looks like a very good starting point for a restoration. This car is interesting and desirable for several reasons. 1) It’s an LA built car and early production to boot. Production from that plant was miniscule compared to the Hamtramck plant. 2) It’s very well equipped for an a-body and somebody spent a real premium for those options. V8, auto trans, A/C, bucket seats, console, deluxe interior trim with carpeting, roof edge drip and wheel lip moldings, and possibly power front disc brakes. Plus it’s B5 blue, an awesome color! Our family owned several a-bodys of this era and,while the slant 6 had adequate power for commuting, the 318 provided plenty of fun. You guys always talking about V8s, big blocks, etc….These were low priced commuter cars for the masses. 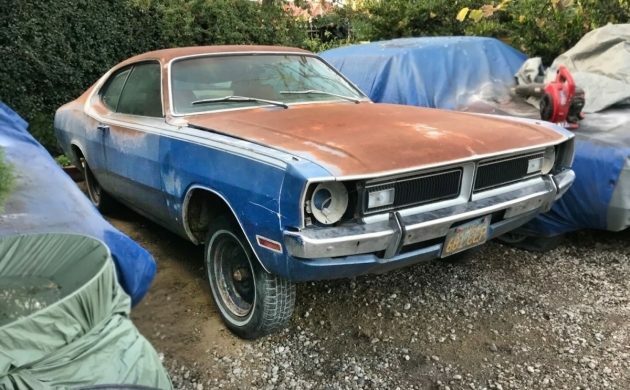 My dad’s new 71 Duster with the 225 and an auto trans could FLY on back roads and, with Michelins, hold curves and turns quite well at 70 mph. The v8 added a lot of weight up front making the car accelerate better but handling suffered. 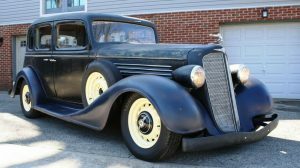 This would be a great looking, super fun driver when restored to “as delivered” condition. That roof/side stripe, however, was a later addition and not available for 70-72. 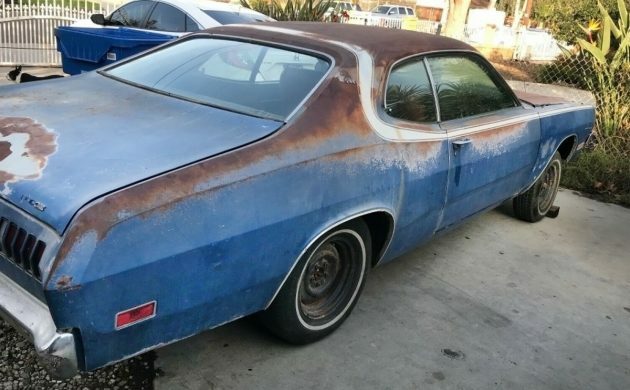 I guess someone saw the stripe on a 73 or later and decided that they just had to have it. PS I remember the days when you could buy these all day long for $100 each. NOT sold. Auction ended at $2300 and reserve not met. An old lady from my church had one when I was growing up, base car with puppy pan hub caps, leaning tower of power engine (I still love the sound of those, along with the Chrysler starter whine), olive green (weren’t they all olive green? ), with black bench seat interior. As a kid, I thought it was a cool car. It was real clean, my memory says immaculate but this is Wisconsin so it was probably a rusty heap lol. She was a tiny little lady, couldn’t weigh more than 90 pounds, and had thick black dyed hair. A real treat! Very kind to everyone. I miss the old lady. I also wonder what happened to the car. I would love one like hers. Demons of this Era are not tame or lame. Already gone. Good price for a solid car. Should be an easy resto.